As a socialist in the SNP, it’s difficult to know what message I am supposed to take from the editorial in Scottish Left Review 101. The first few paragraphs appear to have been written exclusively for the Labour Party left and it remains partisan throughout, further on reading like a rallying cry to the Scottish left in general to form behind the LP (where the “momentum” is) in order to take on those pesky nationalists in the SNP. 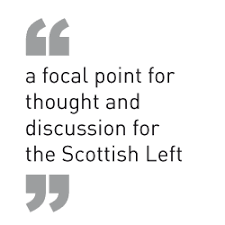 As the Scottish Left Review is a periodical that claims to cater for the Scottish left in general, this is odd to say the least. I don’t have enough space to critique the editorial as a whole, so, I’ll just mention two of the more contentious supporting claims which appear central to the argument. The first is that “Labour is by far the most politically progressive of all the major political parties – and that includes the SNP”. This seems rather a nostalgic claim – not to mention selective (I wonder what our comrades in the Green and various socialist parties might have to say about it, for instance). The second claim is that, “…the fortunes of the SNP, not a social democratic party as it claims, has been further dented as it becomes more evident that it has started running out of steam (sic)”. This statement bears very little scrutiny, either in regard to social democracy or the ongoing vigour of the SNP. My reading of the editorial takes it to accept an oft-repeated axiom of left politics. Socialists should support and elect socialist parties where possible and where none exist (or appear electable) support and elect social democratic parties instead. This is based on a fairly common understanding of socialism and social democracy within the working-class movement to describe our nature, our forms and our historical task. The SLR editorial seems to suggest that we should now choose a party which the author considers to be at least social democratic (even perhaps, aspiring to be socialist) and that is the Labour Party. The claim that the SNP are not a social democratic party, in the terms of this rendering, can be further unpacked to say that they are not even a social democratic party (let alone a socialist party, so the argument continues). Thus: you might begin your enlightenment by accepting the claims of social democracy, then you progress to class awareness becoming a “proper” socialist (with some versions adding a further stage as a fully-fledged communist). This individual development of an activist has its corollary in the collective development of a state from liberal to social democracy, through socialism into communism. It worries me when political terms are used without any reference to reality. In particular, there has been a lot of reference to social democracy of late. But in what context? There is no social democratic movement to speak of at the moment. Or, at least, none that is self-consciously social democratic. There are a number of progressive and anti-austerity groups to the extent that perhaps we could describe the whole as a progressive movement. Nonetheless, it is worth just saying that we are not part of a social democratic movement at the moment. Progressive politics tend to cover a rather larger area than social democracy, incorporating liberal attitudes to society held within rather more conservative ambitions. But socialists measure progress on the basis of class advance, so our own idea of progress more or less amounts to social democracy in all but name. The problem remains that without a movement, the terms lack substance. Historically, the LP have certainly delivered more (progress) in Westminster government in the interests of working-class people than any other party. This is incontrovertible. However, we are now over forty years into the neoliberal age and throughout this period the party’s achievements have been decidedly more modest (how much of an understatement this is, I leave to your own judgement). Of course, the Labour Party has always aspired to be the ruling party of the UK state and on the occasions it has achieved this goal, it has wielded levers of political and economic power that the SNP never could. The powers vested in Holyrood not only cover a smaller geography but are severely restricted, particularly in terms of macro-economic control. Power devolved is power retained and our discussion cannot ignore this persistent fact. Therefore, we have to be careful that we compare like with like. To compare state powers with devolved powers is an exercise that has limited utility; likewise to compare action with rhetoric doesn’t get us very far. So, no matter how progressive Jeremy Corbyn and John McDonnell’s rhetoric is, to make a claim like, “Corbyn and McDonnell have shown the SNP what bona fide radicalism looks like (in words, if not yet deeds)” really does look like the editor is clutching at straws. I don’t think it’s helpful to reduce the pursuit of proletarian emancipation to such a rigid (ab-)use of these terms. So much energy is wasted arguing over the point that it just becomes a plughole down which any more interesting or nuanced debate can spiral. My own conception of social democracy comprises the amelioration or replacement of liberal democracy and the legal and economic institutions it embodies with modified or alternative arrangements which protect the interests of working-class people rather than the owners of land and capital. This is a class-based perspective based on historical materialism and the ongoing critique of political economy found in socialist activists and writers throughout the last two and a half centuries or so. I don’t think I’m out on a limb here. A political party’s commitment to social democracy therefore has a lot to do with what they actually achieve in government. This is where that commitment is tested and our position in relation to their actions must be to support working-class gains and to resist working-class losses whilst debating the broader questions of strategy and tactics as we go, promoting our own solutions to these questions. The finer details of social democracy therefore are defined and redefined in their historical effect rather than their rhetorical intent. The social democratic question may be simplified to this, I suggest; how do socialists utilise and transform liberal democratic institutions for proletarian ends? From our perspective, the parliamentary institutions we have access to are Westminster, Holyrood and local government. Our task in the proletarian movement then, is to arm our elected representatives with the tools to effect our ends, confronted as they are by a given set of liberal institutions, including existing policies and laws. I accept that these matters are up for argument but I think that we have to have this discussion rather than going on pretending that we agree on what we mean in a movement that is not self-consciously social democratic. By these measures, the Labour Party which is described in the editorial has not yet been tested in government. Although, the party in a previous incarnation had an extended run of power into and through the first decade of this century, that was not a government that we could comfortably describe as social democratic. Before Jeremy Corbyn was elected leader in fact, there was an extended period where the majority of the party appeared to be willing to try almost anything other than a social democratic approach to policy. It’s true that SNP politicians have not found themselves able to implement policy with which the students of social democracy amongst us might fully agree. But that is not entirely their fault in the absence of a consistent movement to guide them and we can’t say that they haven’t consulted or been responsive to civil society. The question remains – how do we rehabilitate social democracy such that it once again becomes a genuine movement that keeps the politicians on track? I think that answers are already being given by the hundreds of thousands of activists who joined first, the SNP, then the LP (albeit the latter largely outside Scotland and certainly in response to our democratic micro-revolution). The lesson for socialists is the same as it always was. Organise. Organise for a democratic, educated working-class movement. Organise a genuine social democracy in our workplaces, in our communities and in our institutions, including our own parties. Get in about those parties and prepare them to deliver in our interests. Don’t blame the politicians (LP or SNP) for not effecting change when we haven’t been successful in clarifying the change we want and; don’t ask working-class people to trust politicians to do it for us. Finally, and in response to the partisan element of the editorial. The Labour Party has let us down for forty years and good intentions are not going to convince all Scottish working-class people to trust the party or to give up on independence as an alternative route to social democracy. That doesn’t mean we can’t work together across all parties to meet many of the social democratic aspirations that our electorate regularly vote for or to resist and ultimately defeat the cynical neoliberal chaos represented by the Tory party. We face a huge task and one that we would do well to unite around, so I say this to those of you who do not vote SNP already. If you really want to know how the SNP would fare in governing a nation state without actually getting behind Scottish independence, it’s easy enough. Simply accept our offer of a progressive alliance in Westminster. There is only one realistic goal for socialists in Scotland: an independent country to build socialism in and social justice for all. The rest is the usual student politics and angels dancing on the head of a pin. Apparently, ‘social democracy’ means a socialist system of government achieved by democratic means. So, the term is almost entirely misused, and there are no major social democratic parties in the UK. Scottish Left Review the publication for people who’ve never surrendered their tank tops and donkey jackets. And who don’t know their history. This is an interesting critique of this editorial by Craig Lundie. I have always classed myself as a Social Democrat and Left of Centre. SLAB conveniently forget that when Robert Cunninghame Graham and Keir Hardie formed the Independent Scottish Labour Party (circa:1888) their prime objective was to secure ‘Home Rule’ in response to the ‘Home Rule’ movement in Ireland. The ‘Home Rule’ as then described translates into ‘INDEPENDENCE’ today. Now what we have got to get across to these people who might be misled by Corbyn and Momentum the very simple fact that a Labour Government in Wastemonster will never ever give Scotland an Independence Referendum let alone more powers to the Scottish Government. This is especially so as there are people, including Corbyn, in Momentum who do not have a clue as to what powers the Scottish Government as currently constituted actually have. A fact not helped by Richard Leonard who seems to under the mistaken belief that the Water industry in Scotland is in private hands like England & Wales. Labour for nearly 100 years have had plenty of opportunities to help the less well-off and have spectacularly failed on sorting-out the inequalities brought about by the undemocratic Wastemonster election system and the ‘Home for imbeciles, the unelectable, the incompetent and decedents of Royal Mistresses’, AKA House of Lords. What all Scottish Socialists who want Independence need to hear from SLAB is where do they now stand on INDEPENDENCE? Scots have little on no influence upon the uk, whilst in the uk! 70% of our lives will be spent under a right wing tory party, 30% under a pale imitation of that tory party that calls itself labour. We have little influence on our economy, we can tinker at the edges, but do not have the tools to make radical changes we on the left would wish to see. We are unable to choose who our friends are in the world, we are being ripped away from Europe against out will and dragged towards the mid Atlantic, in the uk we can do nothing to stall or prevent this. The power of independence should have been apparent recently in Ireland’s dealing with uk and EU, Ireland can say no to uk and uk has to listen. Anyone who thinks the uk listens to Scotland is deluding themselves! Left, right or all points between, the fundamental issue has and always will be we can very little to change our country radically whilst the prime powers to make change reside in another country. This is not some debating point, its complete and utter fact! As for labour, they have a leader as exciting as a wet blanket, they lie continuously about others without an idea of their own, they are divided down multiple lines and they haven’t a policy to their name. Does anyone know what labour’s policy is on brexit? SNP remains the only party in Scotland with a proven social conscious, leadership, policies and the capability to mange the country with the limited powers and constraints imposed upon it. The SNP is the credible vehicle to takes us to independence to address the issues we all know need addressed! Interesting to see extreme right wing brexiter Mogg at weekend worry about uk becoming a colony of the EU, yet some on the left in Scotland care little Scotland already is a colony of England? When are the left in Scotland going to realise they will not cure England’s ills, leave that to the English, lets Scots heal our own ills and not sacrifice our people for some utopian uk that never has and never will exist! I have been a reader of the SLReview and have contributed book reviews and letters for many years. Despite the SLR being a published by the Jimmy Reid Society, the magazine seems to have forgotten that Jimmy himself was a member of the SNP . The editorial reminds me of the religious debates concerning angels and heads of pins, while most of the Labour Party contributors continually tell readers how awful the SNP Government is, by not doing all the things the Lab/Lib Government didn’t do when they were in power, while neglecting to mention the progressive polices enacted, despite the Labour Party resisting important additional powers coming to Holyrood. And I haven’t even mentioned the House of Lords (these “socialists “ still queuing up to join their comrades),Nuclear weapons ( still LP policy ) or PFI. Im sorry to tell you, but “As a socialist in the SNP” you have a problem. Two actually. First ‘socialism’ is dead. It passed away on 9 November 1989. Second the SNP is a dishonest party. It claims its vision is of an independent Scotland but deep down in the depths of its soul, it knows that will never happen. You will never get anyone in the SNP to admit to this, especially none of its MPs, MEPs, MSPs, councillors, advisors, secretaries, organisors, bag carriers, make up artists, made up artists, excetera, excetera, but it is none the less true. 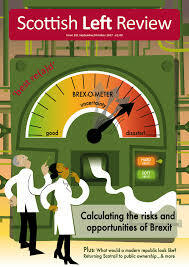 Rather than look at politics through your old and unreliable left/right measuring device may I suggest a new and much more accurate tool, the ‘cynicalscope’. Its dead easy to use and a lot more fun. Switch on your telly and watch Prime Ministers question time on a Wednesday at 1200. Watch all of the SNP MPs ask questions. They submit their questions before and they always get chosen. The people that choose the questions make sure the SNP get to ask their qestions, this is because it makes them feel part of the club. Once a question is asked the PM will answer the question. The answer always gets the rest of the SNP MPs angry and they shout and wave their papers to show just how angry they are. All this is part of the Westminster game and the SNP MPs love playing it. But Craig, dont compare SNP and Labour questions and try and work out which ones are the most socialist, take your cynicalscope and ask yourself what are the SNP MPs doing there in the first place. Do they look out of place or do they look part of the fabric? Next day at the same time turn your TV on again and watch First Ministers question time. This is hard to watch unless you use your cynicalscope, then it becomes the funniest show on the box. First you get questions from Ruth and then Richard. They are invariably the same, ‘why is #### Scotland not doing well?’ #### can be trains, hospitals, schools, jobs, they change it around to make it less boring. Nicola will answer in the same manner every time. She has learnt a great trick from her predecessor, Nicola shows her annoyance at the question by scoffing mid sentence, but she answers it any way. The answer is always the same, that the question is unfair because the ‘####’ would be doing better if Holyrood and not Westminster was in charge of it. If you use the cynicalscope you immediatley see things differently. You ask your self, qestions such as, ‘what is this all about?’ the next one is usually, ‘what is the point to all this?’ the next one will probably be, ‘how much must this cost?’ That is the beauty of the cynicalscope it makes you ask different questions. Last week I asked myself ‘how do they manage to keep a straight face?’ I had such a laugh. Have you ever turned your ”cynicalscope”on yourself , Richard ? Have you ever turned your ”cynicalscope” on yourself , Richard? Can you blame for being cynical? We are where we are because of the SNP. The Brexit refendum result and this years general election gave the SNP a golden oppurtunity to create a real and justifiable UK constitutional crisis. Scotland voted to Remain and the SNPs response to the GE, called this year by Theresa May should have been a one statement SNP manifesto ‘If a majority of SNP MPs are returned the SNP will take that mandate and negotiate independence from the UK and for Scotland’s continued membership with the EU’. They chose not. My cynicism runs deeper than that. I think the SNP knowingly, put a blocking mechanism in place before the GE to prevent such a scenario. Emotional rant passing as discussion. Your input was nothing more than pointless heckling. A fine example of the old proverb “that it is better to remain silent and thought a fool, than to speak up and remove all doubt.” You are missing your true vocation in life – you should be a BBC Question Time audience member. It is sad to see such willful blindness in one of my fellow Scots. You’re irrational prejudices, fear and hatred is unhealthy. The “SNP” is not an object. It represents people – your neighbors, and fellow citizens. As do all political parties in Scotland. Honestly. They are all expressions of our representative democracy. Please curb your enthusiasm. The reason the United Kingdom is riven with division is not due to the SNP. The latter is an evolutionary consequence of the unresolved anachronism that is at the root of the UK. The concept of social democracy, which originated in Scotland with the founding of the Labour Party, is and always has been perceived as a threat by and to the British establishment. The Scots were forced into the Union. There was no popular consent for it. Indeed, our first hundred years in the Union was notably marked by rebellion and repression, with nauseating frequency. At the end of the 19th century, with the evolution of social democracy in Scotland under the banner of the Labour Party, the primary goal of this vehicle was to realize Scottish Home Rule. Now that the British Labour Party has rejected this goal, those Scots desirous of independence have now transferred their loyalty to the SNP. The basic aspiration for many though, remains the same. Labour, SNP are means to an end. If their was no SNP, something else would take its place. The idea of an Independent Scotland is now a genetic trait for many. If the British establishment have been unable to supress this ambition and weed out this trait after 300 hundred years of rule, it should be clear to all by now that for many Scots, it will never be abandoned as our ultimate goal. With its undefined constitution, the UK is functionally incapable of untying this Gordian Knot. Particularly with the intellectual pigmies currently driving the discussions south of the border, and their “voices” here in Scotland. They are without any imagination and can conceive of no alternative to their outmoded model of governance. The futility of this can be demonstrated using the current negotiations between the UK Government and the EU. Not surprisingly, the Imperialist Cabal at the heart of the UK government can’t even agree among themselves what “Brexit” actually means. After 40 years of agitation for it. Except on one issue – “pass-porting rights to the EU,” for their banking center in London. Without these rights assured, the United Kingdom will be in a practical state of bankruptcy for at least a decade after withdrawal. This is the “Holy Grail” for those at the helm of the Conservative and Union Party, and those of their allies, during the negotiations. It is glaringly obvious that this is all they really want from our association with the EU. Everything else is expendable to achieve this goal, and will be disposed of anyway after it is achieved. Thus the need for the despotic powers of Henry VIII. Once restored, these powers will be abused by them to entrench the currently established class system. Its what they always do. Absolute power and all that. What little powers now currently devolved from Westminster will be swept away. The establishment will also feel free to employ the “Spanish solution” to any further demands for independence from the Scots, or rebellion by the peasants in England, Wales and Northern Ireland. Without pass-porting rights assured, inward investment will collapse and the fire sale of public assets will shock even the oligarchs. And again, a reversion to their 19th century comfort zone. Dickensian Britain, but on steroids. With plenty of beatings for all malcontents until their morale improves. Win-win for the disaster capitalists currently running economic policy in this less than United Kingdom. Anyone who willingly supports this future is guilty of criminal stupidity. Social Democracy is the antithesis of Imperial Authority. It cannot flourish when the latter is ascendant. The advocates for social democracy will once again have to employ violence to effect progressive social change to redress their grievances. Just as it did at the beginning of the 20th century. As a vision for the future for the greater population of the UK, it is a giant step backwards and utterly reprehensible. Independence is our only safety valve from this madness. It is also the only means available to us today, to establish our long sought after goal of a thriving and prosperous social democracy, in our own life times. “Emotional rant passing as discussion”. I am going to let others read your comment, and mine and let them decide which one us is ranting. Its a pity you did not address the point I made in my comment. I will remind you, again. We, Scotland voted to Remain in the EU, England voted the UK to Leave, Theressa May called a general election this year for the sole purpose; the authority to proceed, full steam ahead with Brexit. The SNP chose not fight it. That was the chance, to cause a real constitutional crisis and it has been missed. ‘Missed’ is wrong. Avoided is the verb. Margaret Thatcher said that all the SNP had to do to win independence was to send a majority of Scottish MPs to Westminster. I have tried to engage others on Bella Caledonia to enter into a discusion on this particular point, no one is prepared to join me, all I get is abuse. Why dont you try John? Rather than call me a fool tell me why the SNP manifesto for this year’s GE was not “If a majority of SNP MPs are returned the SNP will take that mandate and negotiate independence from the UK and for Scotland’s continued membership with the EU”. P.S. I dont hate anyone. Labour who consistently support the House of Lords and use the peerage as a means to reward thir cadres ? Labour who lost its socialist oreintation in the 1950s ? Labour the party of Opportunism, of Brown and Blair ? Labour the Party that took us to war ? Scottish Left Review would have us support Labour. Labour which lost its socialist orientation and aspirations in the 1950s. Labour which uses the House of Lords and the peerage as a way to reward their timeservers. labour which was criminally complicit in Iraq and all the other military campaigns in the Middle East. Labour, the party of Blair, Brown and all the other opportunists. No thanks, I will take my chances with an independent Scotland. Once upon a time there was a Labour government, under Clement Attlee, (1945-51.) It tried, and to a great extent succeeded, in practising Socialism and helping ordinary punters. Since then the Labour party has strived, decade after decade, to prove that it could be a better Tory government than the Tories. Labour which voted for austerity; Labour which voted down all the amendments for Scottish devolved powers based on the ‘VOW’ lie; Labour who back Trident; Labour who created and built substandard schools and hospitals under PFI and cost the Scottish taxpayers a £billion a year paid to capitalist speculators; and Labour who stabbed the working class of Scotland in the back by standing arm in arm with Tory Scottish hating scum in a bent Referendum…remember the late and unlamented Jimmy Hood..the archetypal low flying Jimmy house ‘jock’ who stated he’d rather see Scotland poorer than independent?…need we say anymore about these British unionist lackeys who besmirch the legacy of Hardie and Graham? Those of us who hope for an Independent Scotland want social democracy, a nation at peace with itself where the interests of all are balanced so that the greatest number experience the greatest good. The extended family ethos of the Scottish clans operated on that principle, and it remains fundamental to Scottish society. What I would expect to happen on the other side of Independence, once it is won, is that a number of left wing groups would circle round one another trying to capture the mood and aspirations of the Scottish people, and I would hope that something qualitatively new would happen – a genuine fusion of Scottish popular interests which is rooted not in historical parties, but in a baseline of Scottish polity drawn at the Independence date. The UK Labour Party has no locus whatsoever in the above picture. Factions within the SNP have a strong contribution to make, Scottish Socialists of various complexions will contribute a lot of good thinking, and I think the Greens are doing well at capturing grass roots thinking across the diverse communities of this wonderful nation. The analysis of this editorial, and its critique, is all skewed by adherence to outdated norms. In the central belt of Scotland, where I lived for 26 years, there is such a strong Unionist influence, institutions are UK based, political groupings and “classes” are viewed from a UK perspective. The true Scottish society has been overlaid by an industrial era which was UK related, and a Scottish establishment greatly infected by the English elite. We need to backtrack from this influence, and start to think inside the Scottish box. Scotland has a people from many races – Celts, Picts, Gaels, Anglo-Saxons, and Continentals, who meld into a tolerant, hardy group as they breathe the air, share the magnificence of the topography, savour the haggis and rise to the pipes. Scotland creates her people, when allowed to do so, and will also create her own politics. There will not be SNP, LP or God forbid, T0ries. There will be democratic socialists, Greens, and establishment centre right, and it will be a great new parliament, probably best sited in Stirling with a view to the mountains as well as to the plain. We already have democracy in Scotland even though the indie supporters, natsies and tartan tories might like to forget that. And some of us Scots breathing the air etc etc are having to pay more than others just to live in our homeland because of ideological claptrap like this. The true Scottish society voted NAW! They would still vote NAW! Next thing will be higher taxes for voting naw….or did that just happen? Scottish socialists will need to contribute a lot more than just good thinking ….they will need to part with their hard earned cash. We will see how that pans out. Utter twaddle from A MacK! But now we will vote Yes. Democracy ‘dumbass’ – it’s fluid, not concrete. Turkeys have been known to vote for Christmas. The true Scottish Society is still NAW! By the time 2021 comes around the Labour vote from the central belt who jumped to the natsies will have jumped back. People are fed up with broken promises and nannying. The minority will be even larger so much so the Greens won’t be able wag the dogs’ tail. Scotland will be oot of the EU and will remain part of the UK. Having lost the SNP heartlands the losses in the central belt will put paid to this nonsense for ever. Govanhill will have a new proper socialist MSP rather than a kiddie on one. After Craig’s thought-provoking, considered article, so sad to see the usual BC comments pattern repeating itself: almost all male, all extraordinarily interested in how unmistakably right they are personally: makes a Christian Evangelicals Social Evening appear attractive. Annabella. Sadly Leonard does not believe in Scottish Independence. I take article’s point that a fair comparison between Labour and SNP will require scrutiny of their performance in government. However, this will not be possible on the essential foreign policy comparison (where Labour foreign policy has historically been little different from Conservative, imperialist not socialist) considering the lack of the relevant devolved power in Scotland. What all this discussion of (party-based) socialism seems to lack is attention to the modern communist and anarchist practices in establishing digital commons, standards and technologies. These tend to go by the term “open” to avoid undue alarm, as in Open Education, Software, Hardware and so forth. The problem with socialists ignoring these developments is that they fail to recognise when they are under attack, as in the USA’s attempt to dismantle net neutrality and let corporate interests commercially blockade free dissent on the Internet. It pains me to think that the huge successes of digital openness in providing a non-proprietary web, encouraging weak-hierarchies and strong grassroot contributions and virtually free access is endangered by reactionary roll-back precisely because of the transparency and ease of use which renders these social benefits so invisible to the many. @Alistair MacKichan: Your concept that there ever has been, or still exists, a “true Scottish society” is a load of old grummel. Have you not caught up with the German-language philosopher Ernst Bloch’s theory that all claims about unsullied origins will tend to be proto-fascist in nature? And your list of “races” — WTF is a “race” in 2017? — who belong to that “true society” is highly selective: “Scotland has a people from many races – Celts, Picts, Gaels, Anglo-Saxons, and Continentals – who meld into a tolerant, hardy group”. What about Punjabis, Eritreans, Bangladeshis, Syrians, Roma, and members of countless other ethnic groups, currently living in Scotland. Are they not “melding” too?